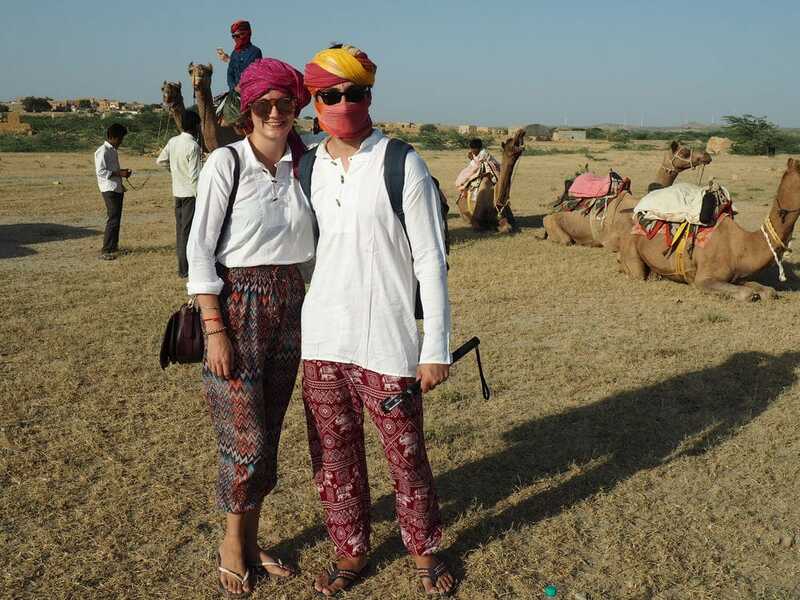 Discover Jaisalmer's camel safari | T.S.O.H. 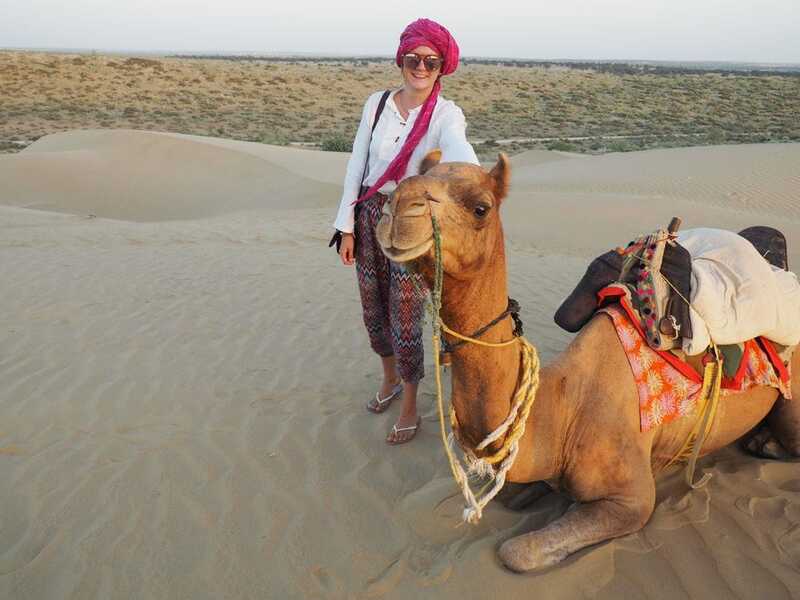 Most tourist choose to visit Jaisalmer because of the camel safaris in the Thar desert. 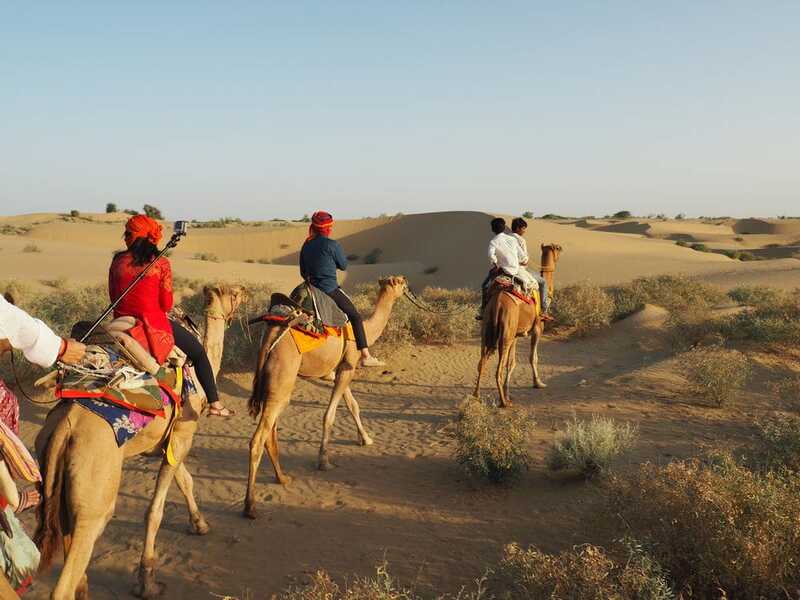 Jaisalmer itself is located closely to the Pakistani boarder and the Thar desert and can be reached from Jaipur via a long and hot 15 hours train journey. Luckily lots of chais and a bed in 3rd class with air-conditioning made the trip feel a little shorter - expect for that snoring man and his cellphone ringing all night. Well, I chose 3rd class. In fact, before traveling to India I wanted to join the lowest class for train journeys and travel with goats and sit on the floor - but that’s a different story I will tell you another time. 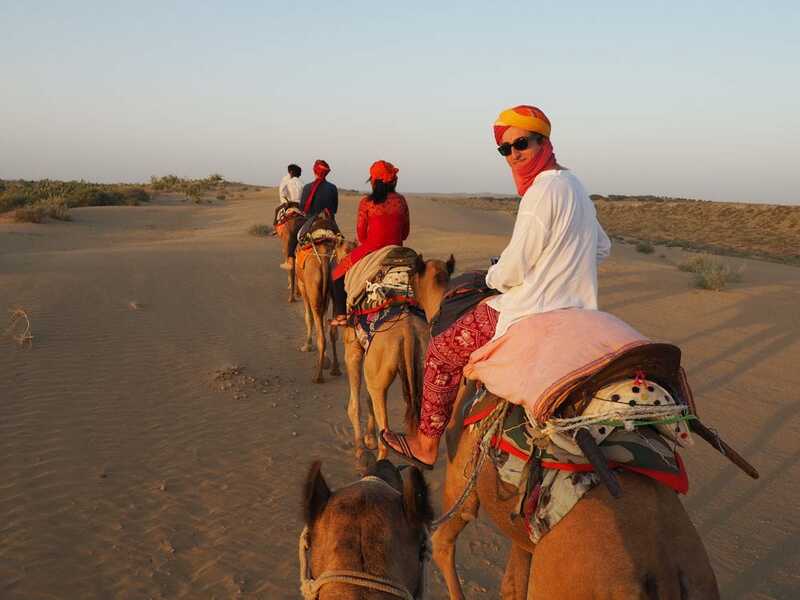 Anyhow, when you arrive in Jaisalmer you will feel the heat of the desert. It’s a dry heat, less pollution and you actually can spot blue sky. 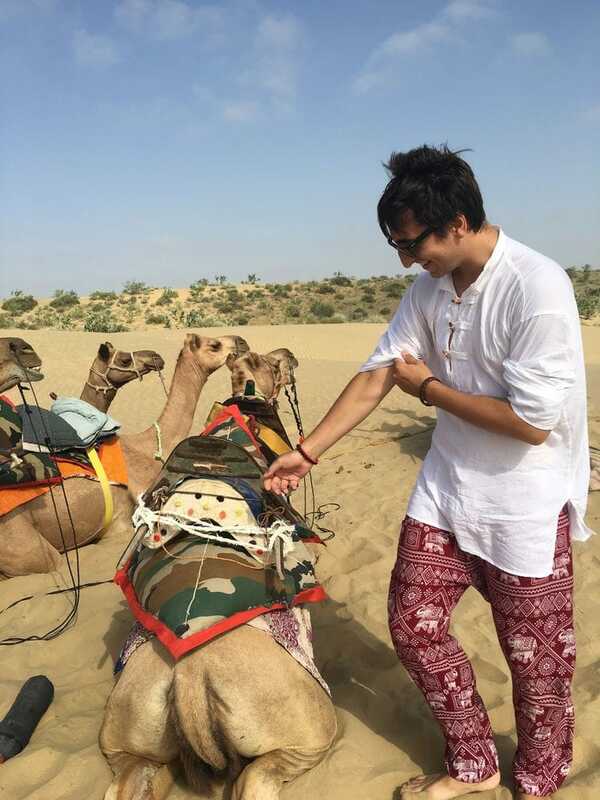 I personally came to Jaisalmer for the Thar desert only. I’m sure there where lots of other things to do but I wanted to sleep in the desert under the milky way and ride like an indian princess on a camel. By then I didn’t know how uncomfortable a camel can be. 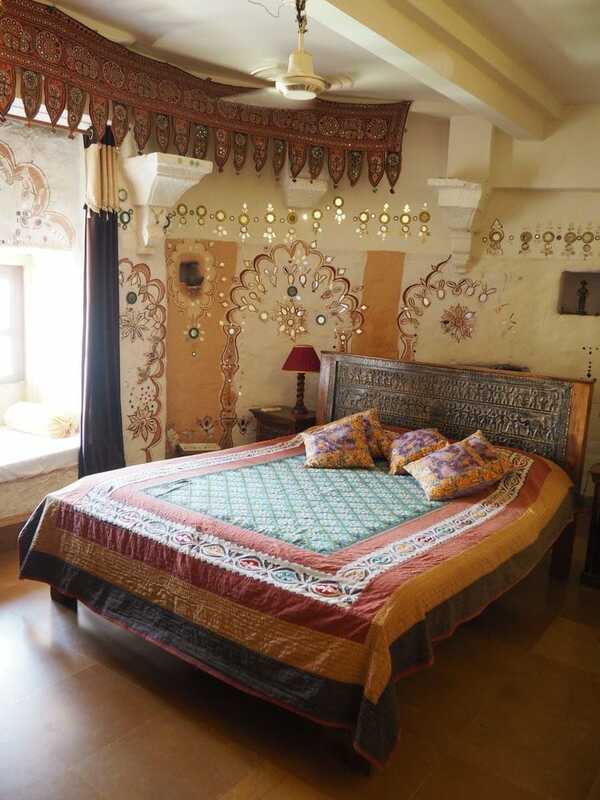 Feel like an Indian Princess - or prince - at Hotel Garh Jaisal Haveli located on the top of the city fort with window and rooftop view over the rest of the fort and the whole city. Rooms vary in colours and style and I personally stayed in 2 different ones - one before and one after the desert safari. This hotel offers free chai and bottled water all day long and have a restaurant on their rooftop. Food is basic but good enough for a snack. Breakfast is served on the rooftop as well and you will get more than you can fit in your belly. The staff is kind and for the first time in India I felt like a normal person - no starring. To top the experience, room service is available and a free tuk-tuk pick up from the station or airport is included in the room rate. Book in advance, this hotel is a first choice of many travellers. 1. Where do they take you on the Safari? Most companies take you to the same place so you will be camping next to 100’s of other people. I personally chose a company that took me to a part of the desert where we were basically alone. And I mean ALONE - Just me, 3 others from the tour and our guide. Oh, and a stray dog who kept me awake all night long and became my new best friend by breakfast time. 2. Where will you be eating at night? Some safaris eat in the desert over a wooden fire. Some will take you into villages where you either have to buy your own food or where dinner will be prepared for you and many other companies. I ate in the desert which was a fun experienced. We had chai, snacks and a curry with all the dips. Overpriced beers were offered after. At least they were iced-cold. 3. Is it overnight and is breakfast included? Some tours are just a few hours, others are overnight. Make sure breakfast is included. We had a standard spread breakfast with toasted bread, jam, fruit and cookies. It tasted even better in the desert. 4. Do they provide clothing? 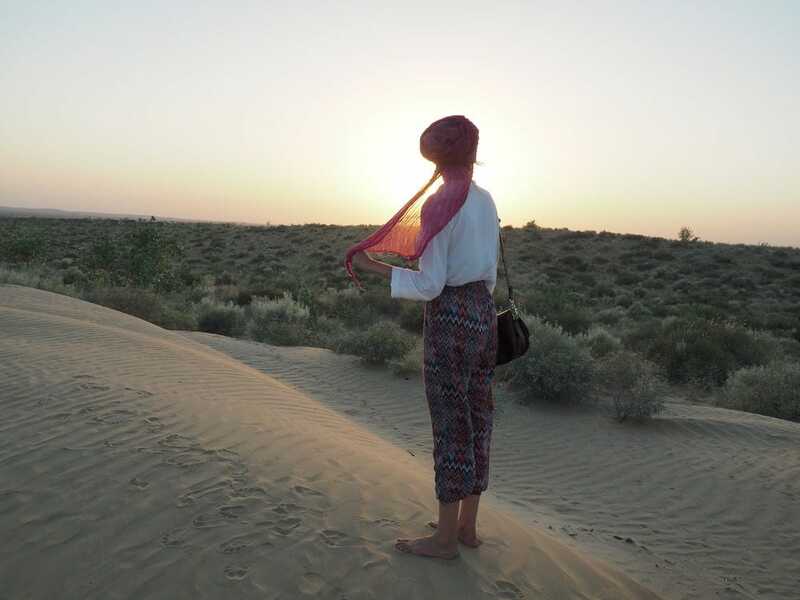 Jaisalmer is hot and the desert even more. Some companies provide clothing, others will tell you to come in a light coloured outfit. Clothing can be bought all over the fort and you can haggle a lot. A turban is usually provided by all Safaris and a fun accessory for the day. 5. 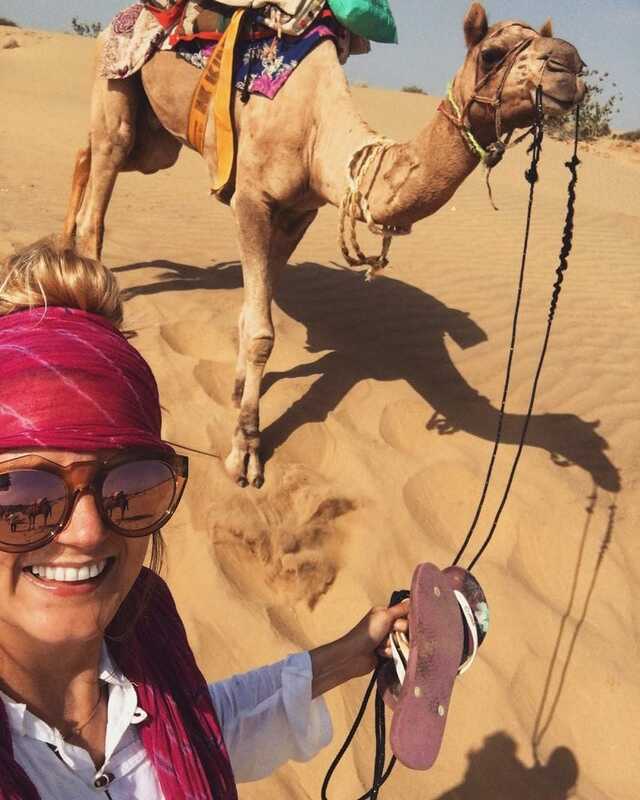 How long will you be riding the camel? I honestly was disappointed how green the desert was. It took us almost 2 hours before we reached sand dunes. This might be the location, who knows. Either way, both days of our safari I was about 2 hours on the camel. In my opinion this is more than enough. I had bruises and was sore for days on my bum area. 6. Pack some warm clothing. It gets cold at night. 7. Choose a company with beds instead of sleeping in the sand. My back was horrible the next day and I slept pretty bad. 8. Bring a good camera - or learn how to use yours on a night sky. The stars and milky way were incredible and I wished I knew how to use my Olympus camera right. 9. Bring your own alcoholic drink. The tour guides are friendly but they rip you off for a beer. Red wine taste just fine when it’s warm and the desert gets cold. 10. Don’t book over your hotel. I was tired when I got off the train and booked directly over the hotel to leave next day. I’m sure I could have gotten a better deal on the street. 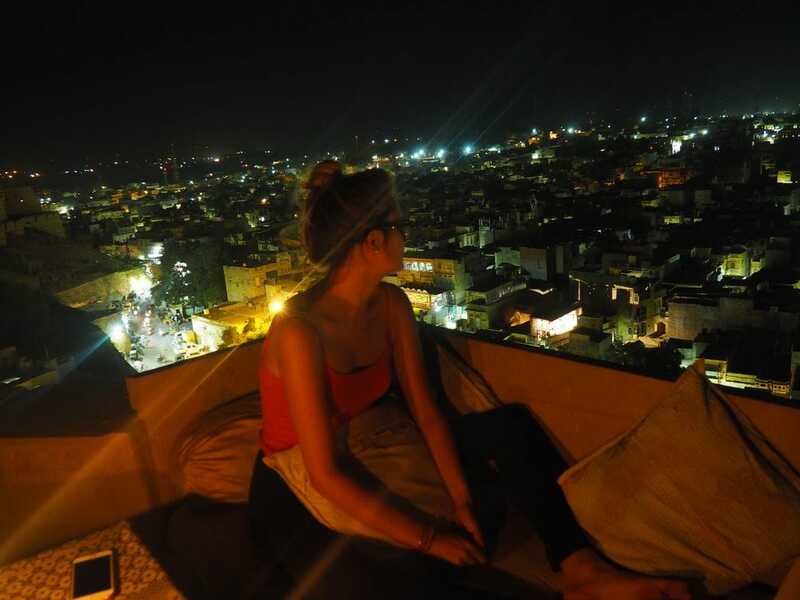 Jaisalmer is beautiful and the whole city makes you feel like you are right inside the Disney movie Aladdin. Keep an eye open for flying carpets.